Disclaimer: This is not medical advice, nor a suggestion to modify a person’s diet in any way. As a Korean-American, soy has been an integral part of my diet for as long as I can remember. 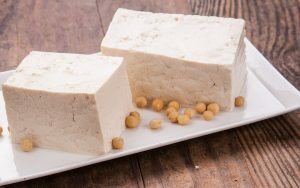 Tofu, fermented-soy bean paste, pickled soybeans, and other soy products are the prized centerpiece of many Korean dishes and considered to be both healthy and nutritious. To my dismay, however, my doctors advised me to avoid soy due to its hormone-disrupting qualities after my diagnoses of lupus and hypothyroidism. A year later when my aunt was diagnosed with breast cancer, her doctors also warned against the ill effects of soy. Between our two diagnoses, soy practically disappeared from my family’s dinner table overnight. My nostalgia of many Korean dishes inspired this search to better understand how soy affects the human body, particularly in relation to estrogen, and whether or not this food is deserving of its bad reputation. The intake of Estrogen, a naturally occurring hormone in both men and women, is known to have dichotomous effects on the human body. In clinical trials of hormone replacement therapy, the Women’s Health Initiative discovered that the consumption of estrogen is linked to higher rates of breast cancer, cardiovascular disease, and increased risk of blood clots as well as reduction of menopausal symptoms, bone health improvement, and hip fracture risk reduction (Fugh-Berman and Pearson, 2002). In response to these findings, the need for a selective estrogen receptor modulators (SERM), a compound that would allow for pro-estrogenic effects in certain tissues while blocking estrogenic effects in others, arose to harness the benefits of estrogen consumption while preventing its ill effects. Phytoestrogens, a compound in plants that is structurally similar to estrogen, have been shown to act as a natural SERM’s by binding to only one of two estrogen receptors (Mueller et al., 2004). Unlike the alpha-binding estrogen that is produced in the human body, soy phytoestrogens only bind to beta receptors. The distribution and location of alpha and beta receptors throughout the human body, therefore explains why soy phytoestrogens only affect certain tissues. The human liver, for example, only contains alpha receptors, which means it is unaffected by the presence of phytoestrogens (Taylor and Al-Azzawi, 2000). This explains why estrogen pills stress out the liver, causing it to pour out blood clotting factors into the bloodstream while phytoestrogens do not increase blood clotting risks. Similarly, the uterus solely contains alpha receptors, which is why estrogen-containing drugs may increase the risk of endometrial cancer up to ten-fold but phytoestrogen-containing food do not. In fact, women who ate the most soy had 30% less endometrial cancer and appeared to cut their ovarian cancer risk nearly in half compared to the non-soy eating group (Myung et al., 2009). In contrast, human bone cells only carry beta estrogen receptors (Wei et al., 2012). A study found that the consumption of two glasses of soymilk a day increased bone mineral density over a two-year period. Similarly, one serving of soy – equivalent to one glass of soy milk or one cup of edamame – was found to significantly lower the risk of bone fractures (Wei et al., 2012). While I do not intend to oppose my doctors based on five articles, I do believe that delving into the science behind their medical advice is a necessary step to take ownership of my health and body. These journal articles are only the tip of the iceberg that represents the need for humility and refinement to challenge what we think we know and further scientific knowledge. Perhaps, they could also serve as reminders that there is value and truth embedded in cultural traditions and knowledge that are deserving of scientific inquiry. Fugh-Berman, A., Pearson, C., 2002. The Overselling of Hormone Replacement Therapy. Pharmacotherapy 22, 1205–1208. Mueller SO, Simon S, Chae K, Metzler M, Korach KS., 2004. Phytoestrogens and their human metabolites show distinct agonistic and antagonistic properties on estrogen receptor alpha (ERalpha) and ERbeta in human cells. Toxicol Sci. 1,80:14-25. Myung SK., Ju W., Choi HJ., Kim SC., 2009. Korean Meta-Analysis (KORMA) Study Group: Soy intake and risk of endocrine-related gynaecological cancer. Bjob. 13,116:1697-705. Taylor AH., Al-Azzawi F., 2000. Immunolocalisation of oestrogen receptor beta in human tissues. J Mol Endocrinol. 1, 24:145-55. Wei P., Liu M, Chen Y., Chen DC., 2012. Systematic review of soy isoflavone supplements on osteoporosis in women. Asian Pac J Trop Med. 5:243-8.